Sunshine for Your Heart-sharing the hope and love found in Jesus: Pumpkins, Pumpkins, Pumpkins! Tis the season for Pumpkin! Pumpkin is not only healthy for you, but it can be very tasty too. Recently, I went to the grocery store and this orange beauty was featured in one product after another. However, some products contain more sugar than healthy pumpkin. So, when you are trying the seasonal delights, be sure to read your labels! 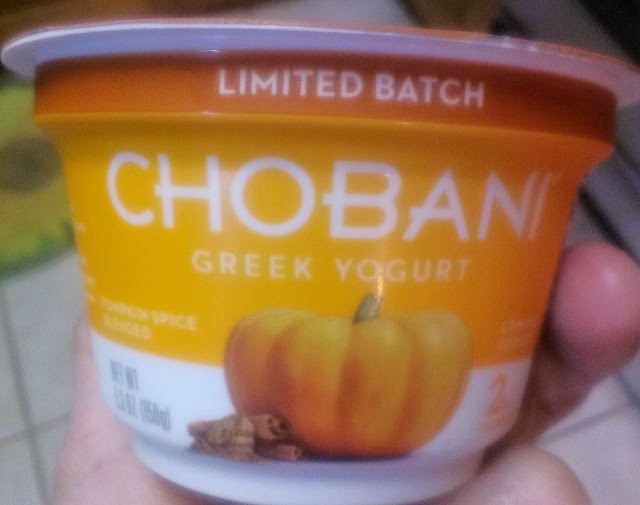 Today, I want to share with you two of our pumpkin favorites: Chobani Pumpkin Spice blended Greek Yogurt and Braums Pumpkin Ice Cream. The most healthy of the two is the yummy low-fat greek yogurt made with all natural ingredients, no hormones, 12 grams of protein and only 130 calories. I like to eat a granola bar with this special treat. 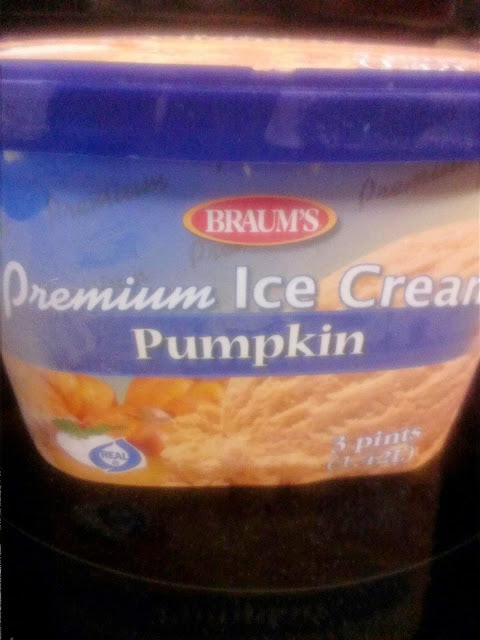 However, as tasty as this yogurt is, my guys prefer the Braum's Pumpkin Ice Cream with only 130 calories for half cup serving. A dish of this special ice cream is great with a dollop of whip cream. Although these products are plentiful right now, they are for a limited time only; so dont delay if you want to try them out! Below is a place for your comment. Please tell me about YOUR favorite pumpkin product of the season.